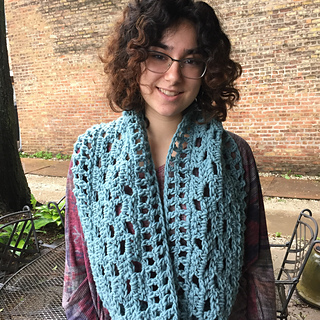 Gauge is not critical for this pattern. 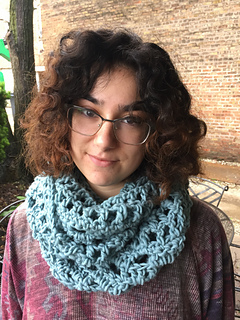 This cowl was created as Knitche’s crochet shop pattern for the 2018 Chicago Yarn Crawl. It will be free in-store during the Crawl (7/28-8/5) and available for purchase here thereafter.